Muhamadu Buhari swore on oath and delivered affidavit to INEC claiming he attended Elementary School Daura and Mai Aduaa between 1948 and 1952.
election, because a disqualified candidate is not entitled to be credited with any vote. Ditto, Muhammadu Buhari swore on oath that he attended Middle School Katsina between 1953 and 1956. But now Atiku deposes on court papers at the Election Tribunal that the middle school was also not in existence as at 1953 and up till 1956. This charge squarely makes out a case of serial forgery, if proved by archival materials in the possession of Atiku. Finally, Muhammadu Buhari swore on oath he attended Katsina Provincial College between 1956 and 1961, which Atiku disclaims by asserting contrarily that the Katsina provinicial college was not built, founded, operational or even in existence between 1956 and 1961. 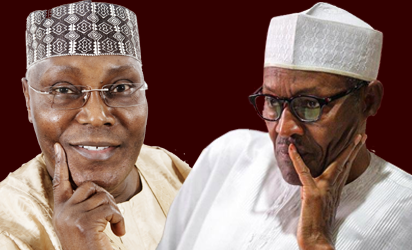 If Atiku proves this serial fraud with conclusive evidence, Muhamadu Buhari will have no answer in rebuttal than throw in the towel and plead for leniency.